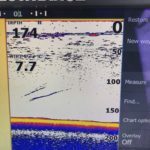 Fishing was pretty solid this past week with good reports from a variety of locations. 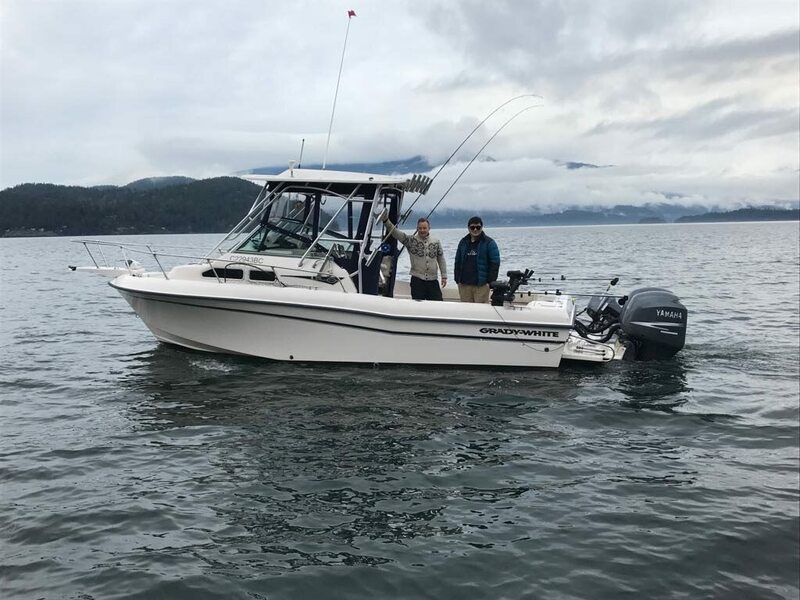 We didn’t make it over to the Gulf Islands, but some of our friends did and had some good fishing, which is pretty standard for this time of year. 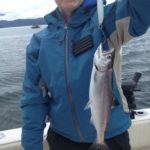 Our boats stayed a little closer to home and we had some good fishing in Howe Sound as well as decent prawning and crabbing. 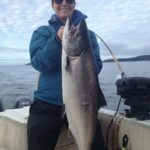 We are pretty much in the middle of winter chinook season and that means you can expect good amounts of bait and fish on most days. If the wind and weather are decent, its time get out there. Sometimes the fish are small and sometimes they are big, you just have to put your time in and you will be rewarded. 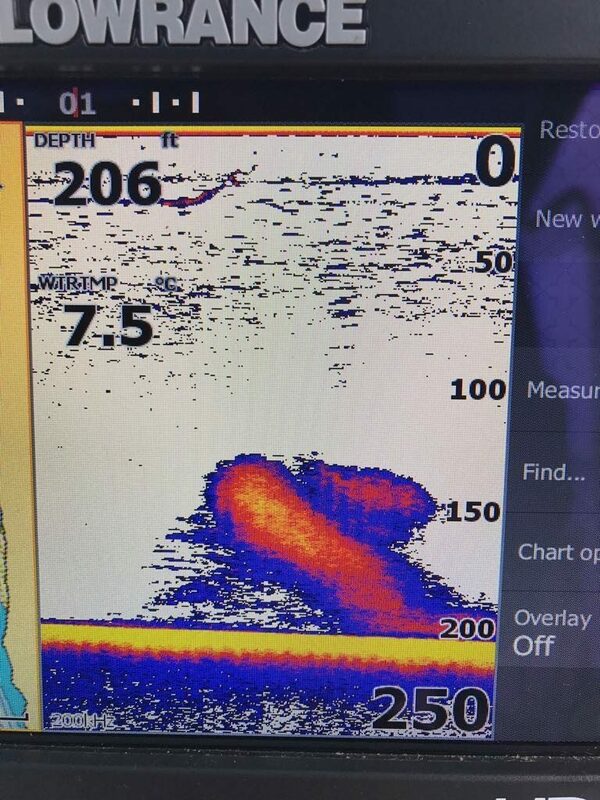 A couple of chinook from this week cruising near the bottom looking for bait, they found my spoon instead! You have to keep on your toes this time of year and treat every bite with respect. 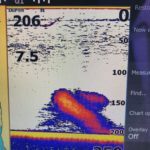 Sometimes it is a little guy that you need to release safely and quickly, sometimes it’s a slab! 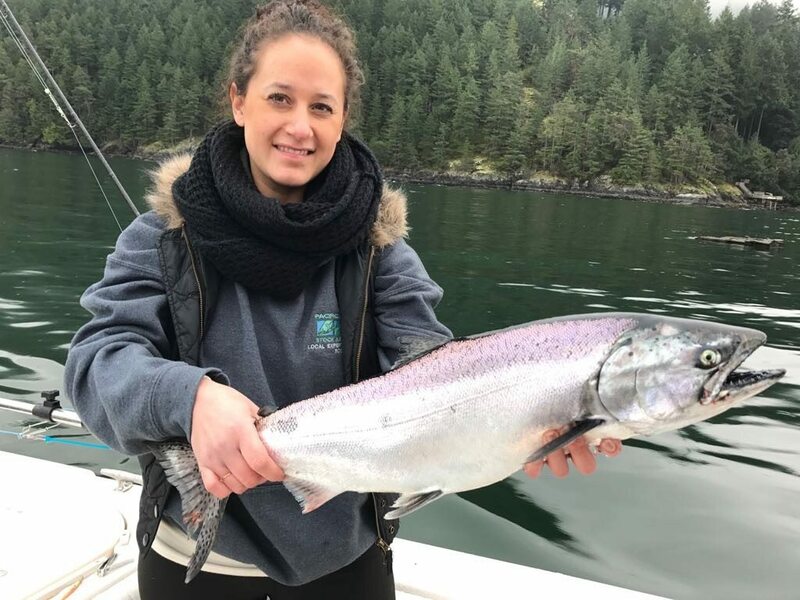 Alexis with a small chinook that was carefully released. What do Pacific Angler Booking Manager Lars and Sales Associate Dustin do on their days off? Why they go fishing of course. 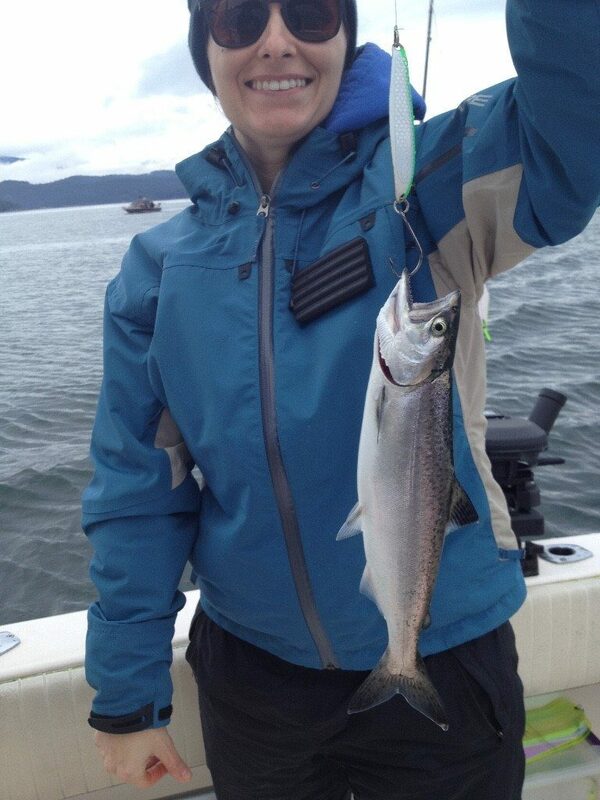 Our staff truly live to fish and fish to live. 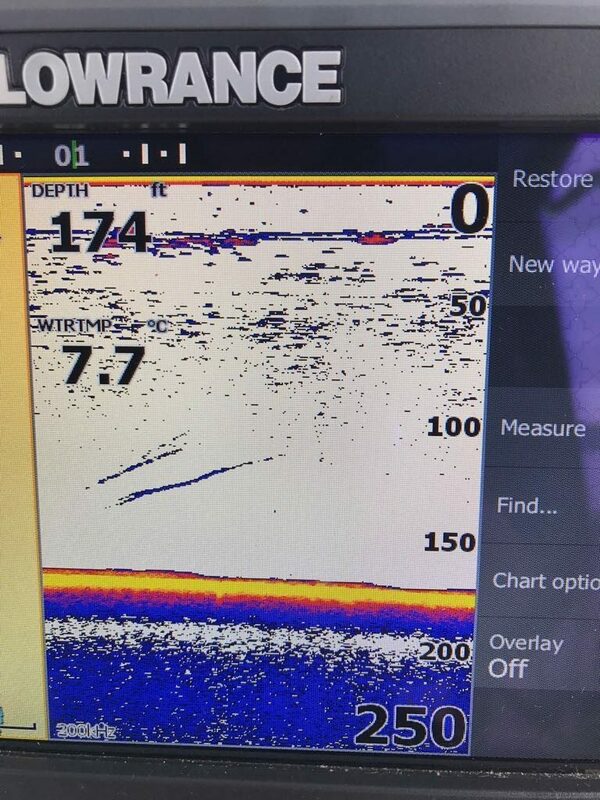 Lars and Dustin out in Chasin’ Tales on their day off, exploring Howe Sound and chasing winter chinook. As mentioned earlier, prawning has been decent. If you like prawns it is well worth dropping the traps right now. 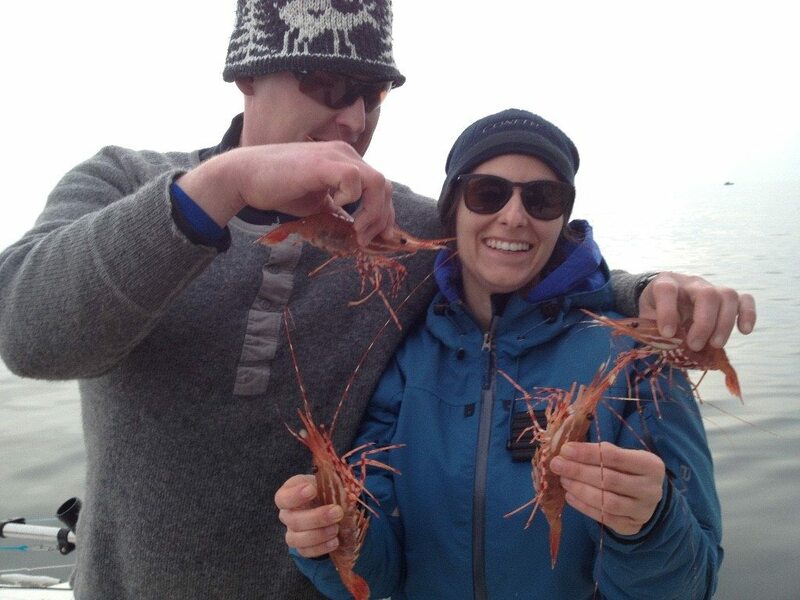 Brian and Alexis with some nice prawns to go with that slab of a chinook. 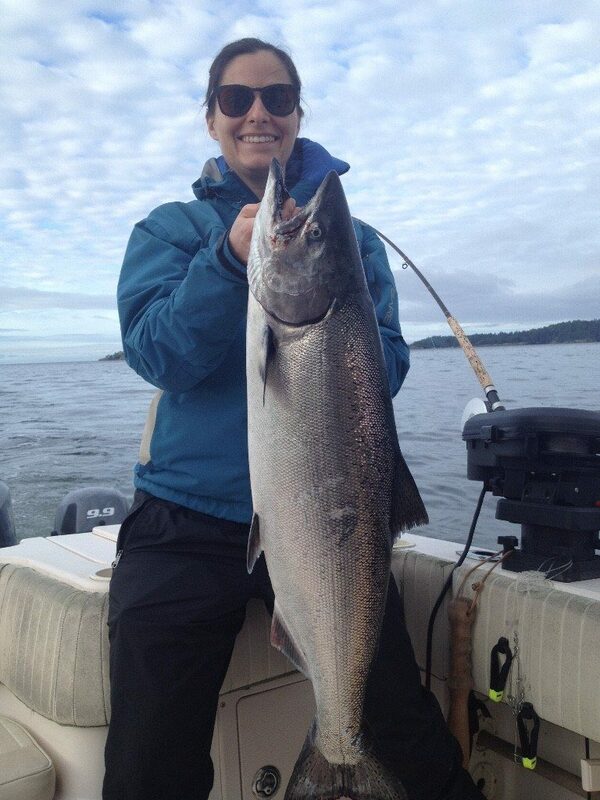 If you would like to get out there and experience this great fishery, please give Lars a call at 778-788-8582.